Tomorrow ALOHA is released. 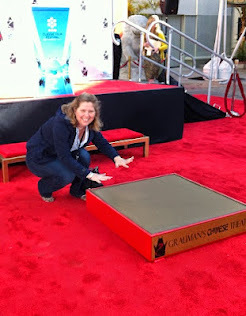 After much begging I was invited to see a screening earlier this week. I make no bone about my love of Cameron Crowe. If they made posters of directors I would hang his over my bed. It's hard to find films these days that feature the personal journey and Crowe is a master of them..
Tuesday night as we waited for the lights to dim in the theatre we were surprised by an appearance by the director himself. He urged us to set aside any leaked emails we might have read disparaging ALOHA. Personally I choose not to read the emails that came out but I know a lot of you did and I too would encourage you not to pay attention to how the sausage is made, because it is delicious. 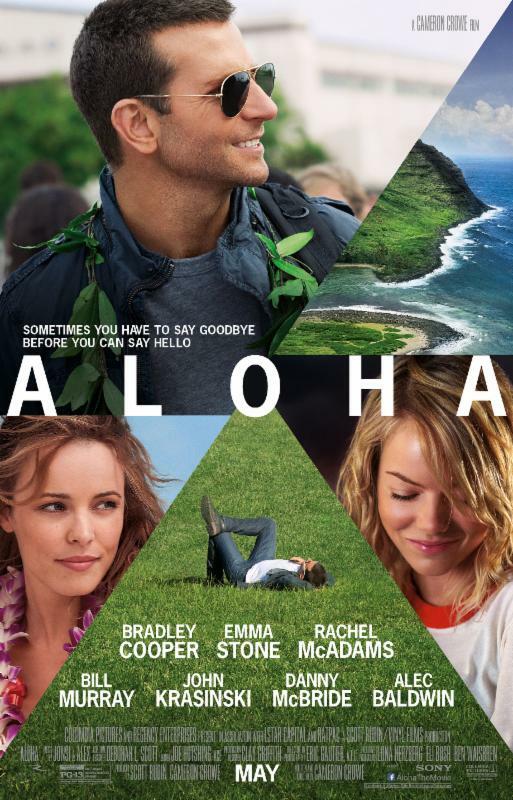 Aloha is a story about selling out, as is often the case in Crowe films. The romance of the space program has been replaced by greedy megalomaniac billionaires (wonderfully played by Bill Murray). Brian Gilchrist (Bradley Cooper) is said billionaire's prodigal employee returned for a chance at career redemption. Enter the extremely earnest Captain Allison Ng (Emma Stone), Brian's military baby sitter. She has different ideas about what kind of redemption Bradley's character should be after. Conflict and canoodling ensues. The second story features Brian's (Bradley Cooper) long lost love Tracy Woodside (Rachel McAdams) who is married to the silent pilot Woody Woodside ( John Krasinski). There are lots of unresolved feeling and some hysterical scenes where they are resolved. I found the film very sweet and even in a theatre full of film critics there was laughing out loud and a trickle of applause at the end. If you are looking for a film without super heroes, earthquakes, or post-apocalyptic shenanigans, run don't walk! They are few and far between and this is a good one. Update: I know I was virtually on my own in liking this film. I definitely get why people were upset about Emma Stone's character and I thought I would share Cameron Crowe's response to that. 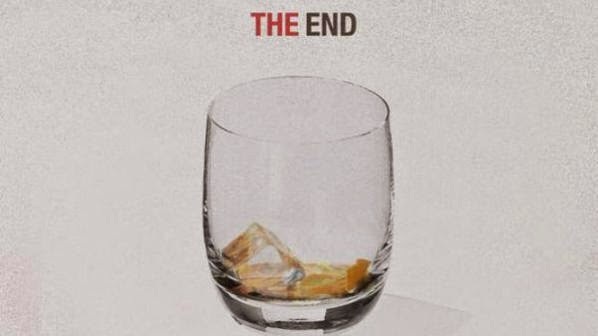 So sad to be coming to the end of Mad Men tonight. It's been a wonderful ride and I hope it has one last thrilling loop for us tonight. 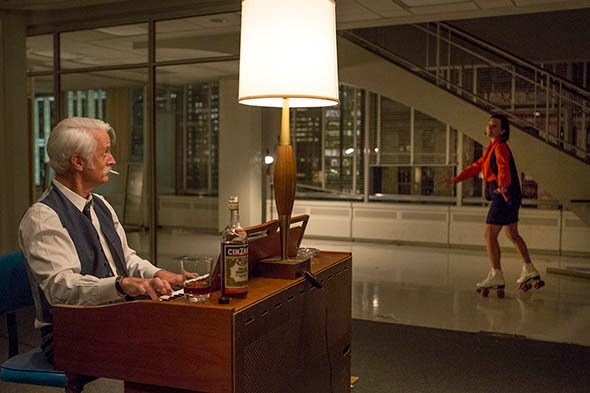 My final predictions are for Peggy and Stan to at least allude to a relationship developing, Don raising his boys, Pete and Trudy off in Witchita, Joan going into business with her new man, Roger living out his golden years on the 26th floor with Marie at home, and of course Betty pushing up daisies. I doubt I will ever get to find out what Joan's medical condition was, but I guess you can't have everything. Maybe some years from now Weiner will open up his vault and tell us all the secret back stories...A girl can dream. My co host Jeremiah Panhorst and I will be watching the finale together in Los Angeles tonight and then doing our last show recap podcast. We always run a bit late but I'm guessing we should be live by 8:30 pt or 11:30 et. live Mad Men Podcast here. Tonight at 8PM HBO is premiering BESSIE, the bio pic of Bessie Smith famous singer of the 1920s and 1930s, starring Queen Latifah. For me Bessie Smith is inextricably linked to pre code film with her famous rendition of St. Louis Blues that can be heard in so many films of the era. I can't wait to see how her life is depicted. Here she is a rare film short appearance from 1929, Bessie comes in at 4:20 and sings at 6:57. This film also features Jimmy Mordecai as the worst boyfriend in the world. 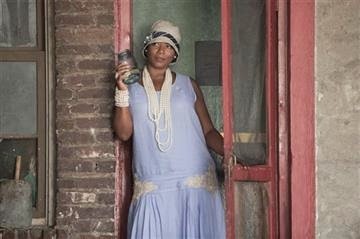 Queen Latifah stars as legendary blues singer Bessie Smith in this HBO Films presentation, directed by acclaimed filmmaker Dee Rees from a screenplay by Dee Rees and Christopher Cleveland & Bettina Gilois. 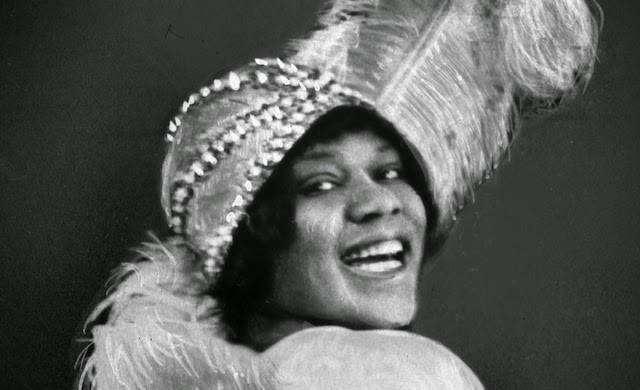 With a story by Dee Rees and Horton Foote, the film focuses on Smith’s transformation from a struggling young singer into “The Empress of the Blues,” who became one of the most successful recording artists of the 1920s and is an enduring icon today. BESSIE also stars Michael Kenneth Williams, Khandi Alexander, Mike Epps, Tika Sumpter, Tory Kittles, Oliver Platt, Bryan Greenberg, with Charles S. Dutton and Mo’Nique. Executive produced by Queen Latifah, Shakim Compere, Lili Fini Zanuck, Richard D. Zanuck, Shelby Stone, and Randi Michel. Ron Schmidt produces. Stories are starting to tie up but there is still quite a bit to be resolved. 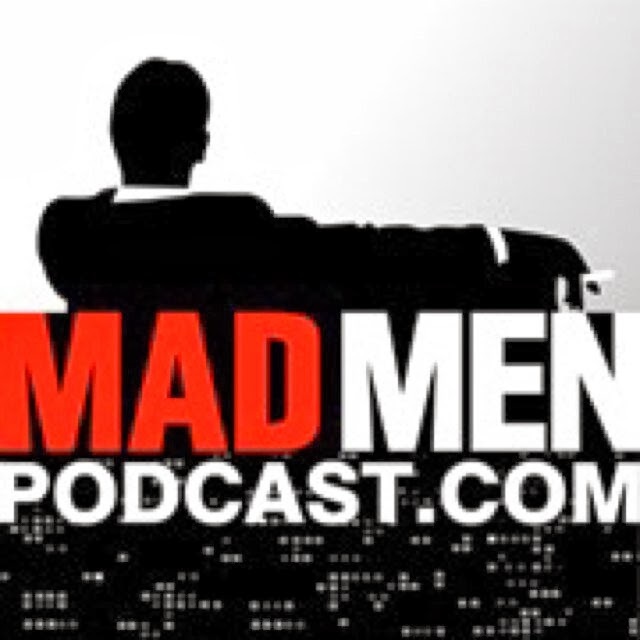 Stay tuned to the Mad Men podcast for all our scene by scene coverage. 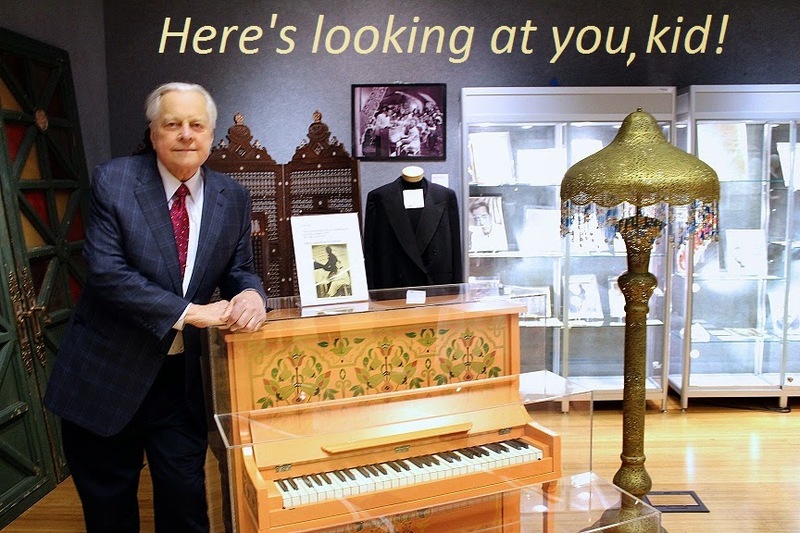 Sending out a big happy birthday to Robert Osborne for his birthday tomorrow, May 3rd. We all missed him, big time, at this years TCM Classic Film Festival. Hopefully he is now all healed up and ready to have a mah-vel-ous day in New York surrounded by friends and family. We all tip our hats to you Mr. Osborne. You have brought classic film to so many of us, taught even the most knowledgeable film lover a thing or two, and always been the kindest most patient recipient of adulation at the TCM Classic Film Festival.